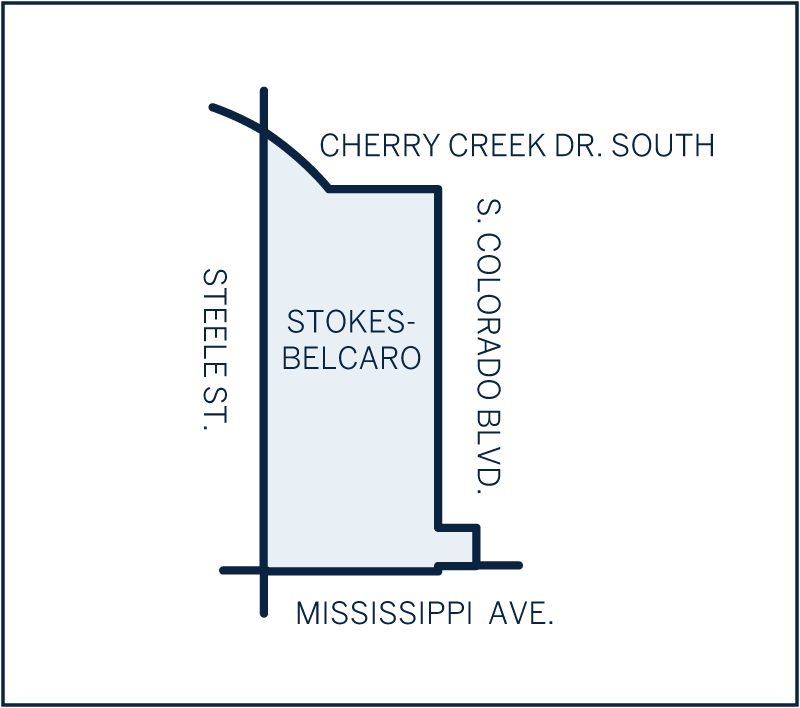 Often referred to as one of Denver’s gems, Belcaro is a neighborhood rich in history offering stately ranch-style homes on sizable lots met by lush tree-lined streets. The neighborhood was largely developed by Lawrence C. Phipps, a U.S. Senator who built his 54-room Georgian estate “Belcaro” in the area. Now, the structure is simply referred to as the Phipps Mansion, but the Belcaro name remains, signifying the family-oriented neighborhood which so many know and love today. Residents appreciate its winding streets, large manicured lawns, and several parks which make up the Cherry Creek Trail. A private gated community called the Polo Grounds, occupies a section in the northern part of the neighborhood. Here you will find mega-mansions, historic Tudors, and Greek and Gothic Revivals, all secluded by towering stone walls. Home prices throughout Belcaro range from million-dollar ranches to multi-million private estates. Quaint shops in nearby Bonnie Brae serve as a main attraction. Phipps Manion—historic and private residence, last sold to Denver philanthropist in 2010 by our Team.